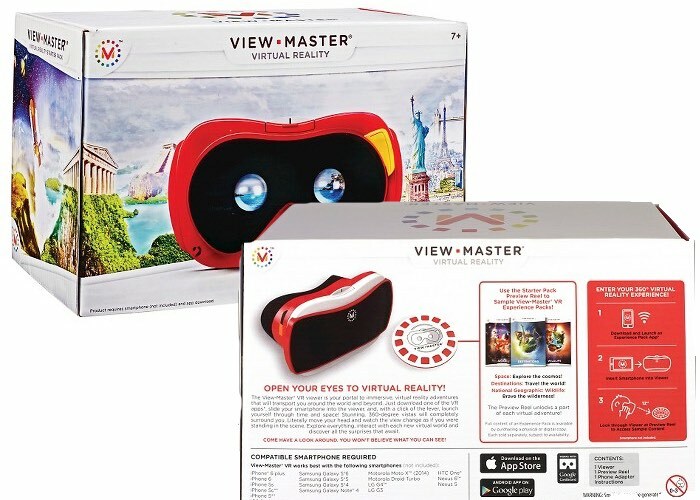 If you have been patiently waiting for the previously unveiled View-Master Virtual Reality Starter Pack to be made available you will be pleased to know that it is now available to purchase from the likes of Target priced at $29.99. 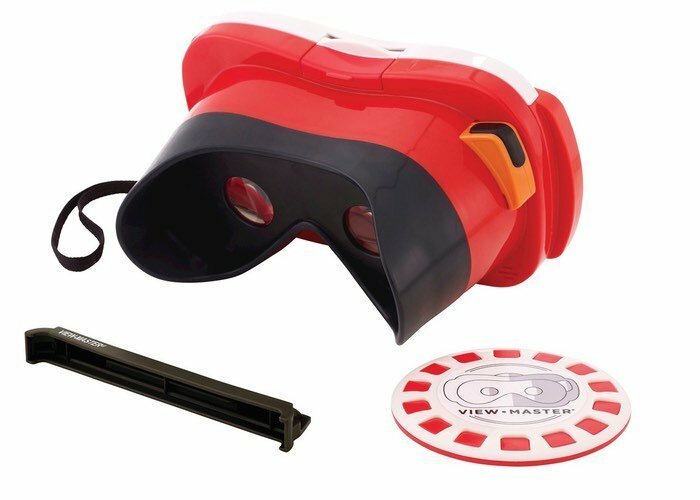 The View-Master VR Starter Pack includes a preview real and comes with an adapter designed to support the older iPhone 5, 5C and 5S smartphones. Experience Virtual Reality with the New View-Master! The View-Master Virtual Reality viewer is your portal to immersive, virtual reality adventures that will transport you around the world and beyond. For more than 75 years, generations of kids have been introduced to the wonder of 3-D by View-Master. Now, get ready to experience a whole new level of realism with View-Master VR that Works With Google Cardboard! This innovative system will open your eyes to the world of virtual reality. Simply download one of the free View-Master apps, slide your smartphone (not included) into the viewer and place the Preview Reel in front of you. A 3-D augmented reality menu will appear — digital icons that seem to float above the reel. Make your selection by looking at the one you want to visit, then click the lever to launch yourself through time and space into 360-degree views that completely surround you. Look up, look down, look around — everywhere you turn, you’ll find something new to see! Interact with your environment by clicking the lever to pull up videos, images, fun facts and mini-games. The Preview Reel included with the Starter Pack allows you to sample View-Master VR apps, such as Space, Destinations and National Geographic: Wildlife. You can fully explore these exotic new worlds by purchasing View-Master VR Experience Packs (sold separately). Compatible smartphone required (not included): Samsung Galaxy S6, Samsung Galaxy S5, Samsung Galaxy S4, Samsung Galaxy Note4, Motorola Moto X (2014), Motorola Droid Turbo, LG G4, LG G3, HTC One, Nexus 6, iPhone 6 plus, iPhone 5x, iPhone 5c***, iPhone 5***, iOS 8 and above. NOTE: View-Master VR may also work with newer model Android smartphones not listed above that have screens between 5 and 6 inches.